A large percentage of medical malpractice claims and lawsuits arise from a health care provider's misdiagnosis of a medical condition. When a physician or health care provider fails to diagnosis a medical condition several things can happen. The misdiagnosis or wrong diagnosis can lead to a multitude of complications. The patient can be administered the incorrect or wrong treatment, delayed treatment, or receive no treatment. The patient's condition can worsen, or the patient dies. 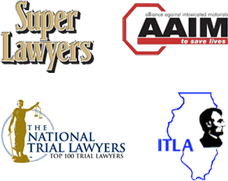 As a Chicago medical malpractice law firm, we recognize that the most common types of misdiagnosis lawsuits arise from the failure to diagnose cancer or the signs and symptoms of a heart attack and stroke. In establishing a misdiagnosis medical malpractice claim, you must prove that the physician's negligent misdiagnosis or delayed diagnosis caused the patient's condition to worsen. Did the condition progress beyond where it normally would have, if a correct diagnose had been made in a timely manner, what would have been the patients expected outcome? All these questions need to be answered. Many misdiagnoses involve cancer patients. The delay in treatment can be crucial to the survival of these patients. Due to the delayed cancer diagnosis, did the patient require a more aggressive treatment? Or did the delay result in the patient missing the window of opportunity for a better survival rate? Did the patient die due to metastasis? An experienced Chicago medical malpractice lawyer will investigate and answer these questions while deciding if a meritorious case exists.